This past week seemed to drag on forever. I am eternally grateful for the holiday gods for planting a nice break in the middle of this next week, and for causing all sorts of shipper chaos, making my load light for next week. However, some pretty big things happened for one of my friends at work. She turned thirty….and found out that she’s moving to Ghana with her hubs. Not very happy about it, but happy for her. She got that news on her 30th birthday, (traumatic! ), so I decided that we needed a lunch date to take our minds off everything. 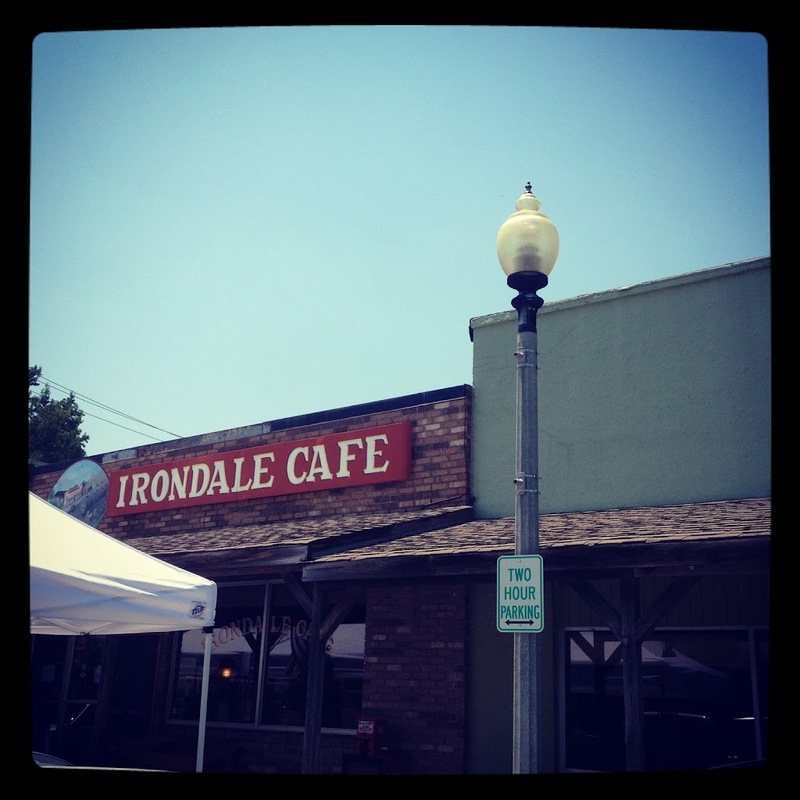 So we drove down into downtown Irondale and went to Irondale Cafe. This is the cafe that the movie Fried Green Tomatoes had in it. They were renovating, so I didn’t take too many pictures of the inside, but I did get one of the outside and of course, the tomatoes. The outside. They had a tiny little farmer’s market thing going on, too. No pickled okra, though. Had to make them gigantic, because they were soooo good. 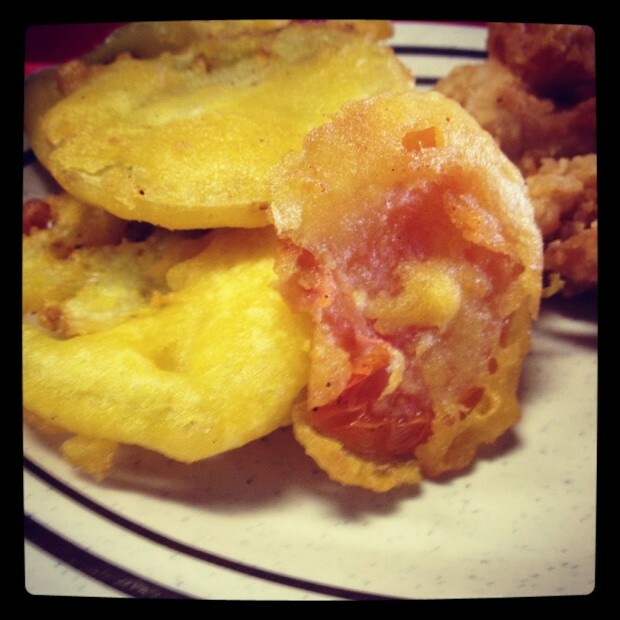 I can’t even tell you….mouth watering just thinking about it. They are pretty much like a meat and 3 place, (or meat and 1, or 4 veggies, whatever you like), but apparently their mac and cheese is to die for and their rolls are like crack.